There's more to a Liverpool game than just goals and fouls , and last night's Liverpool vs Chelsea clash wasn't an exception, when star man Suarez was once again back in the spotlight however for the wrong reason as often. The Liverpool forward actually attempts to bite opponent Defender Branislav Ivanovic, as the later tries to block him . Rajasthan Royals will be locking horns with Kings XI Punjab at Jaipur on Sunday night. 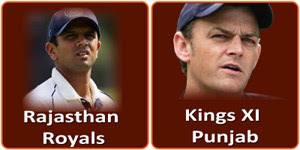 Rajasthan Royals began on a high note, winning 2 games, but they were jolted by defeat against Pune in the last game. Shane Watson is fit to play today's game and he will be a huge asset. Kings XI Punjab have got 2 points from 2 games. Adam Gilchrist is looking out of sorts, but the return of form for David Hussey will be a huge bonus for them. The young Indian batsmen like Mandeep, Gurkeerat and Vohra need to get runs for them if they want to be successful. The Rajasthan Royals look a strong side on paper and will be the red hot favourites. 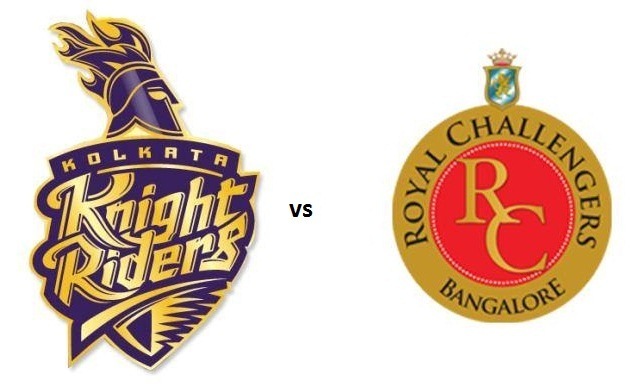 The Kolkata Knight Riders will be against the Sunrisers Hyderabad on Sunday at the Eden Gardens. Kolkata Knight Riders have looked off colour this season, having won just 1 of the 3 games so far. Brendon McCullum and Brett Lee are likely to play today's match as KKR aim for glory in their home ground. The Sunrisers Hyderabad have surprised all this season as they have won 3 out of their 4 games. They have kept their nerves in close situations and have come out on top. They have got the best pace attack in IPL 6 with Dale Steyn, Ishant Sharma and Thisara Perera in their line-up. Amit Mishra has supported them really well too. They are looking the favourites to win today. The Delhi Darevils will be taking on the Sunrisers Hyderabad on Friday at their home ground. Delhi have lost all their 3 games so far in IPL 6 and are looking forward to open their account of wins today. Virender Sehwag is fit and he will be playing against the Sunrisers team. Delhi need to win this match desperately because a loss here will totally devastate their chances of making it to the Play-Offs. Sunrisers Hyderbad began their IPL 6 campaign with 2 wins but were thrashed by RCB in the last game. They have got a good mix of players suited for the T20 format. The battle to watch out today will be Dale Steyn vs Virender Sehwag. Who knows this battle may decide the fate of the match as well. Pune Warriors India will take on the Rajasthan Royals on Thursday and will look to end their dismal run in IPL 6 so far. Their batting has failed miserably so far in both the games with scores of mere 104 and 99. Their bowling has shown some promise but they simply did not have enough runs on the board. Rajasthan Royals will be aiming for a hattrick of wins tonight in IPL 6 when they take on the Pune Warriors. They have been playing some fantastic piece of cricket and their young Indian boys are performing very well. Kevon Cooper has been the star player for them in both the games. The Royal Challengers Bangalore are now back to winning ways after they thrashed Sunrisers Hyderabad in the last game, thanks to Virat Kohli's scintillating knock. They will now look to carry on the momentum and register a win today. They will be banking on the likes of Gayle, Kohli and de Villiers to do the job for them. Kolkata Knight Riders are coming off a 19-run loss against the Rajasthan Royals. Their batting is their biggest concern as the young Indian guys are failing to perform. They will be boosted by the return of Brendon McCullum, who is a fierce hitter of the cricket ball. Overall, it promises to be an exciting encounter and you can't afford to miss it. Barcelona vs PSG , the 2nd leg quarterfinal match in Cam Nou , is certain to create large excitement in and all around the Football world , as eager eyes, all across the globe keeps reflecting the scoreline . After a spell bounding first leg in Paris , which was well balanced with Controversy and excitement , the Parisians managed to held off the Catalans to a 2-2 stalemate. However , losing midfielder Matuidi in the process after the PSG player conceded yellow , in two straight games. PSG starman Ibrahimovic who helped PSG score their first against Barcelona in the 1st leg , will have a lot relying on his shoulders as he visits his old club , but this time, only with the intention to knock them out. Big Surprises and Shocks are a part of football , and one can easily bet there would be large proportion of the audience fancying PSG's dominance in Camp Nou tonight. Barcelona , however might enjoy the services of Lionel Messi , after he was claimed doubtful of starting in tonight's game due to a hamstring injury , which saw the Argentine maestro heading early to the dug outs , in Paris . David Beckham , might also earn a starting place against Barcelona tonight and would certainly like to go all guns blazing, in order to help his side clear , perhaps the most difficult draw in the competition . Sportsster © 2012 . All Rights Reserved. Powered by Blogger.